You would not think that something that grows on the trunks of trees would be all that great for you. Most of the time, we are warned not to eat fungus that we do not know about. However, the small shiitake mushroom can easily be proclaimed as nature's best health food. Not only are shitake mushrooms packed with more flavor than most of the little white button mushrooms sold most commonly in supermarkets, they are also full of high quality nutrients. The woodsy, pungent flavour of this meaty shiitake is one of the more flavourful and used in many Asian dishes. However, shiitake mushrooms contain high levels of protein, potassium, niacin, B vitamins, phosphorus, magnesium, and calcium. The benefits of the shiitake mushroom are not just limited to the tremendous taste and natural nutrition. The shiitake also has with it many immune system boosting properties, and are recommended by many researchers and doctors for battling many of the common problems like high blood pressure, high cholesterol, and even fight off common viruses. Among the many different health benefits of the shitake mushroom, one of the most powerful is the way that it can reportedly actually fight of cancerous tumors. Because of the chemical makeup of this mushroom, it reacts to the body's immune system in such a way that it will attack the tumor and block it from growing. A polysaccharide called lentanin is one of the leading micro nutrients in the mushroom that is leading the immune boosting properties. 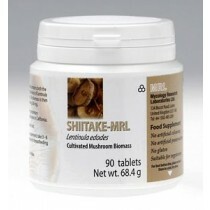 The shiitake mushroom has reportedly been found to be even more lethal to HIV than the pharmaceutically made AZT. It aggressively attacks the HIV cells and keeps them from multiplying, eventually drying them up. Mushrooms are grown in pretty weird places. 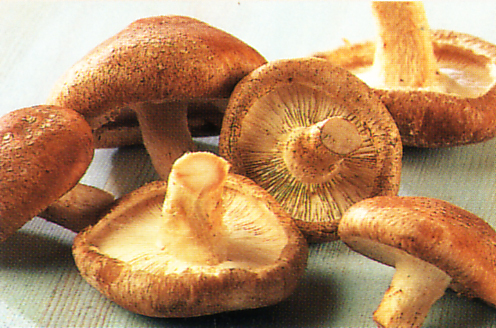 Shiitake mushrooms can be found either growing on a log or within some saw dust. Because of the moistness of the sawdust they can grow quite quickly. However, when grown this way they are not as effectively medicinally as the ones that are grown on a log. This is mostly because the log is already naturally resistant to a lot of diseases, thus transferring these properties to the mushroom.